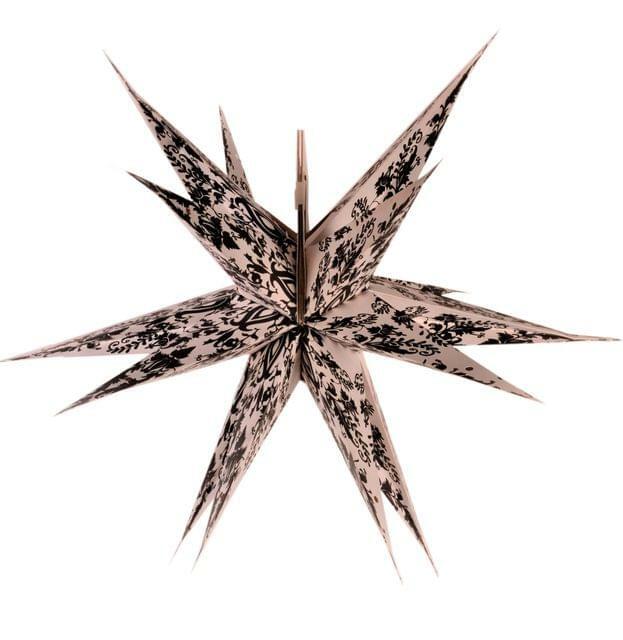 Paper star lantern with stunning design made into a 9 pointed star. Made in India using thick high quality paper. Measures 20" wide x 4" deep This star lantern is shipped flat. To make it glow 40 watt lightbulb needs to be inserted. This is however not inlcuded in the package. Perfect party decoration.